The following is a list of vendors that we have negotiated discounts with on behalf of RLA members who have opted-in to this program. These vendors may periodically contact you to present specials or other information. RLA makes no representations or warranties as to the quality of services of the vendors. This is simply a discount program and all decisions of use rest solely with the individual RLA members. Individual members should call the vendors directly to initiate services. If you do experience any quality issues, please let us know and we will use that information in evaluating whether or not to keep vendors in the program. 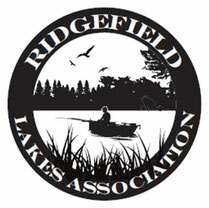 Our goal is to use Ridgefield based vendors when possible in an effort to support our local community. We will also strive to periodically have RLA Deals with local shops and restaurants. We hope that you will find this program an additional benefit of your membership, and as always, any suggestions you may have can be emailed to rladmin@rainbowlake.org. 1) Greenfield Liquor Shop (203-259-8786 65 Hillside Road, Fairfield, CT) - Patrick Misciagna, fellow RLA member and owner of Premier Wine and Spirits in Fairfield, CT, is offering free delivery around the lake and 10% off 750 ml wine cases. Check out his website and call Patrick directly to place your order. Deliveries will be in the evening and don’t forget an adult must be present to accept the order. 2) 10 Minute Dog (203-470-8087 www.10minutedog.com) – Bruce Caplin, fellow RLA member and owner of 10 Minute Dog, is offering a 20% discount off all professional in home dog training packages for puppies, dogs or behavior modification. Learn how to use voice control and body language to become the fair and responsible pack leader your dog deserves. Bruce will provide a free consultation to help you determine what package would be best for your beloved fury friend. 3) Luna Rossa (203-403-3974 www.lunarossaridgefield.com) - Enjoy one complimentary housemade Tiramisu per table with purchase of lunch or dinner. Mention the promo code “Rainbow Lake” and promo item when ordering. Promo expires 8/31/16. 1) P&Q Electric (contact Mike Query at 203-501-3865) – A Fairfield county based electrical contractor with over 45 years of combined experience. You won’t find them on the internet as they only take business from referrals! They are fully licensed and insured. Anything from replacing bulbs to installing new lights -- from panel and meter installation to installing generator backup systems. RLA members will receive either a reduced flat rate of $65 per billable hour (one hour minimum) or will receive 10% off contract project work. All estimates andconsultations are completely free. Current promotion expires 09/30/17. specializing in gutter cleaning, repair, maintenance and installation is offering a 5% discount off all services to RLA members in this program. This discount will apply when no greater discount or promotion is offered by them. A discount off cleaning is almost never advertised so this is a great benefit to our members. Current promotion expires 5/31/17. 1) Bob’s Tree Services (203-798-0628 www.bobstreeservicect.com) – A Brookfield based company specializing in the care of trees. Services include tree removal, hedge trimming, site clearing, tree pruning, debris removal, stump grinding, storm damage, log removal and firewood. No job is too big or too small. Call today for a complimentary consultation. RLA members will receive 10% off projects $500.00 or more. Current promotion expires 5/31/17. 2015/2016 Winter promotion: RLA members will receive a seasoned cord of wood for $180.00 or a ½ cord of wood for $120.00 while supplies last. Low $25.00 stacking fee. Wood sizes up to 20 inches so please remember to specify when calling if you need 18 inches and under for wood stove size, and they will do their best to accommodate you. 2) J & B Landscaping (203-994-0744 or chrisbren@att.blackberry.net) – a Ridgefield based company that will provide a 10% discount off landscape projects $500.00 to $1,499.00 and a 15% discount off landscape projects $1,500.00 and over. Spring and Fall cleanups will receive a 10% discount on projects $400.00 and over. Lawn maintenance (mowing) will receive a 10% discount on the fourth mowing each month as long as minimum of $55.00 per mowing is met and a season contract has been entered into. Call for special pricing on bi-weekly service. Current promotion expires 5/31/17. Ridgefield based company that will provide a 10% discount on brush, limb, and tree chipping projects. Current promotion expires 5/31/17. rsieracki@savatree.com) – The Danbury location is offering 10% off their General Tree Care, Lawn Care Organic and Hybrid Programs as well as Plant Health Care and Tick Treatments. A half day of tree work including all equipment and labor portal to portal with discount is $1,040 plus tax. A full day of tree work including all equipment and labor portal to portal is $2,080 plus tax. Stump grinding is $110 plus tax per stump. Call for specific project quotes. Current promotion expires 12/31/16. 1) Standard Oil (888-742-5276 www.standardoil.com) – A Bridgeport based company is offering our group special pricing on oil and a discount on service plans. As of Sept. 29, 2017, the price to lock in was $2.30/gallon, but whenever you call to lock in the price it will be different based upon market moves. The market closes each day at 3:30 pm and then the price is set for the next day by 5:00 pm. They are also offering a discount on service plans, and the normal $329 service plan is being offered to our group at $199. In order to sign up for the deals you must mention being part of The Rainbow Group when calling to lock in your price for this season. replacement, video pipe inspection, well pumps and bathroom/kitchen remodeling. Drain Surgeon Plumbing & Heating, Ltd has the right prescription for your home. Current promotion expires 5/31/17. which helps to keep costs down for beach maintenance. If you are a current Ness customer, you will be eligible for this group rate once your current promotional period expires. Call for special pricing on smaller containers, bi-weekly service, or bulk pickups. Current promotion expires 5/31/17. 2) The Junk Recycler (855-586-5463 www.thejunkrecycler) – A Stamford based company committed to reducing, reusing and recycling through a comprehensive junk removal service. RLA members will receive $40 off their minimum pickup to ¼ full truck load, $60 off ¼ - ½ full truck load, $80 off ½ - ¾ full truck load and $100 off ¾ full to full truck load. They have a very strong emphasis on keeping as much waste from landfill and incineration as possible. Saving the Planet One Load at a Time. Current promotion expires 4/30/17. 1) J & B Landscaping (203-994-0744 or chrisbren@att.blackberry.net) – a Ridgefield based company that will provide a 10% discount on snowplowing and sanding services (shoveling excluded) on the fourth service as long as the minimum of $50.00 per service is met. Services normally range from $50.00 or greater depending on the driveway size and accessibility. Arrival for snow removal is based on placement in route with no guaranteed times. Shoveling is also available after snow plowing route has been completed. Call for pricing. Current promotion expires 5/31/17.